Tomatoes are native to the coastal highlands of western South America. The early American colonists brought them to America but most people still viewed them with suspicion. Thomas Jefferson mentions planting them in 1809 but they weren’t widely cultivated until after 1830 when tomatoes started popping up in American cookbooks and gardening manuals. America has had a love affair with tomatoes ever since. 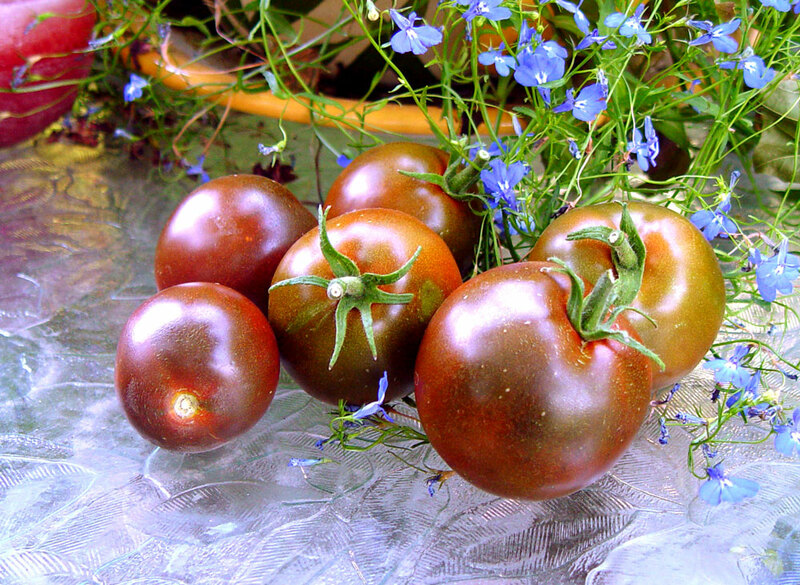 This entry was posted in gardening, gardens, General Ramblings, Tomatoes, trivia, Vegetables and tagged garden, gardens, love apple, south america, thomas Jefferson, tomato, tomatoes, trivia by elzbthc. Bookmark the permalink.